Anyway….three weeks ago we took a trip for my birthday….not because I was celebrating any milestone birthday….in Poland, you would say I am 18 years old and holding. Yes, that is me….holding on for dear life! 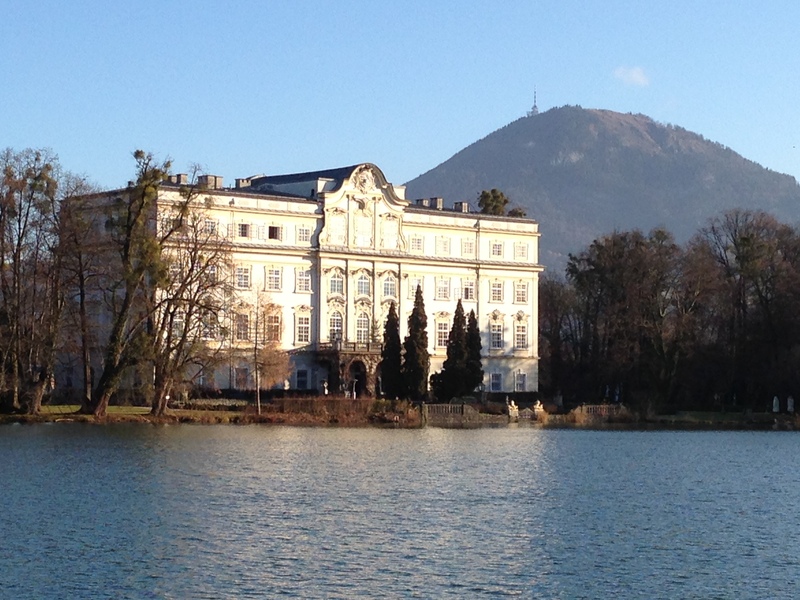 While researching different places that we wanted to visit, like Austria, I found out that there was a Sound of Music Tour that would take us to the places where the movie was filmed, I was like…..YES, please! 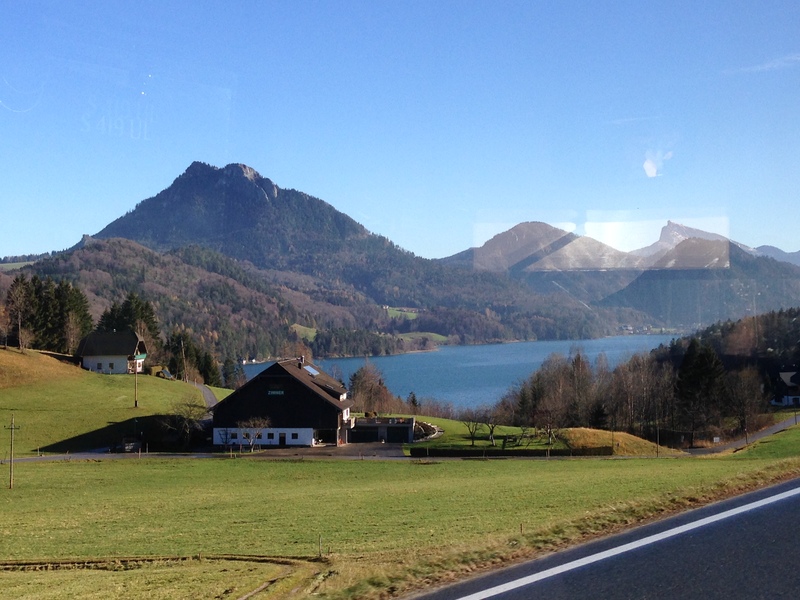 You don’t have to buy me anything…just whisk me off to Salzburg! 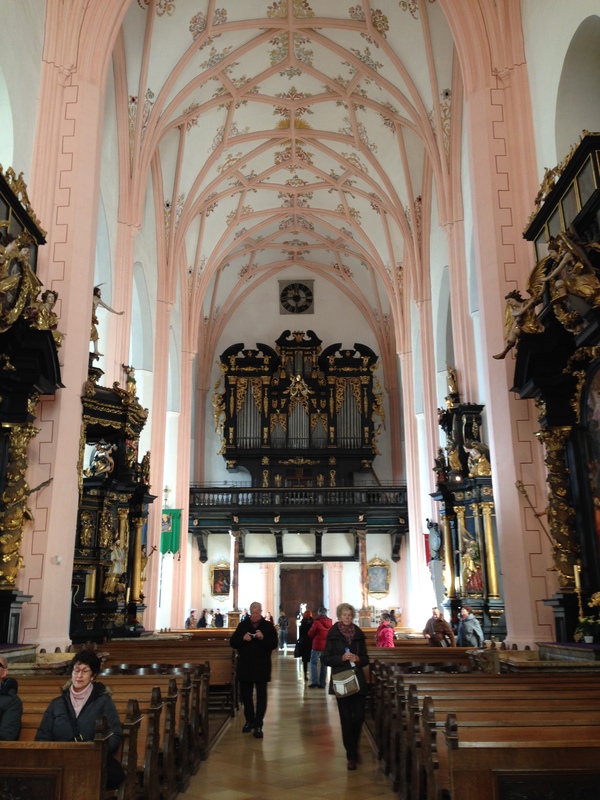 We drove 3 hours to Warsaw, spent the night, and flew out early the next morning to Vienna. 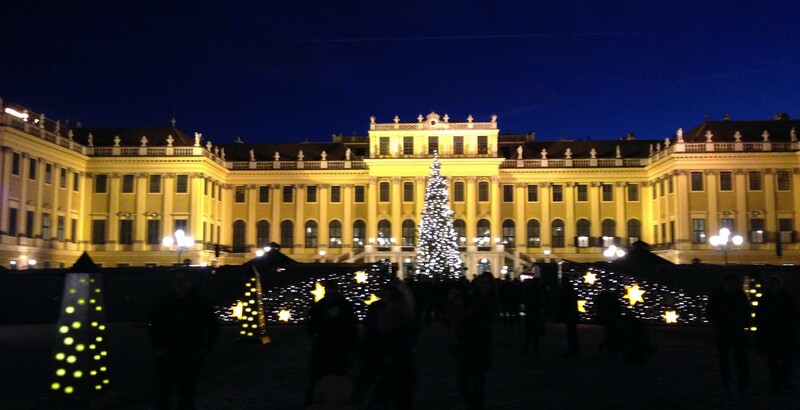 Our hotel in Vienna was conveniently located near Schoenbrunn Palace (one of the places I wanted to go also), so after checking in, we went to check it out. I’d show it to you but you aren’t allowed to take pictures inside, so you’ll have to settle for this picture of the outside when we were leaving. The next morning, we were up bright and early to catch the train to Salzburg. That’s 5:38 AM departure time! Train travel is so easy in Europe and it’s a great way to see the ountryside while relaxing in comfort…unless it’s dark like it is at 5:38 in the morning. 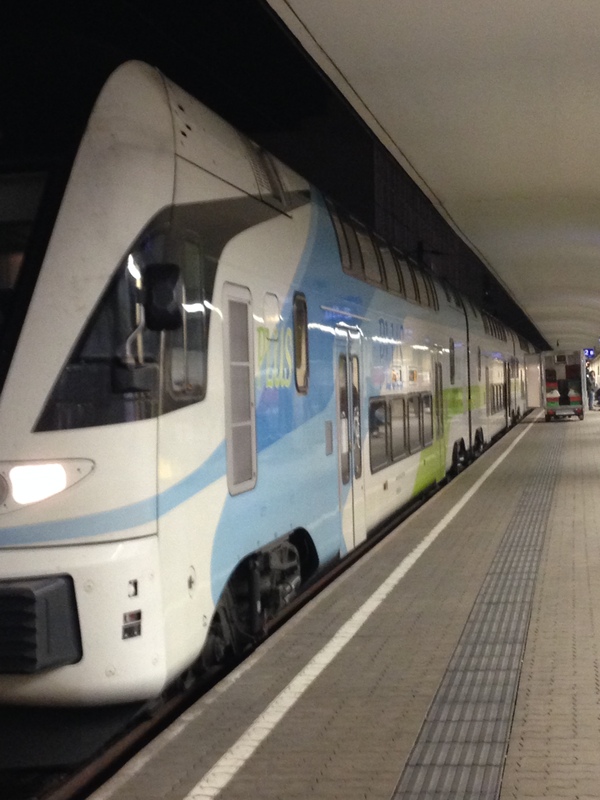 Wouldn’t it be great if America could figure out mass transit like the Europeans?). A short walk from the Salzburg train station to the Town Square and we were ready to hop on our bus! 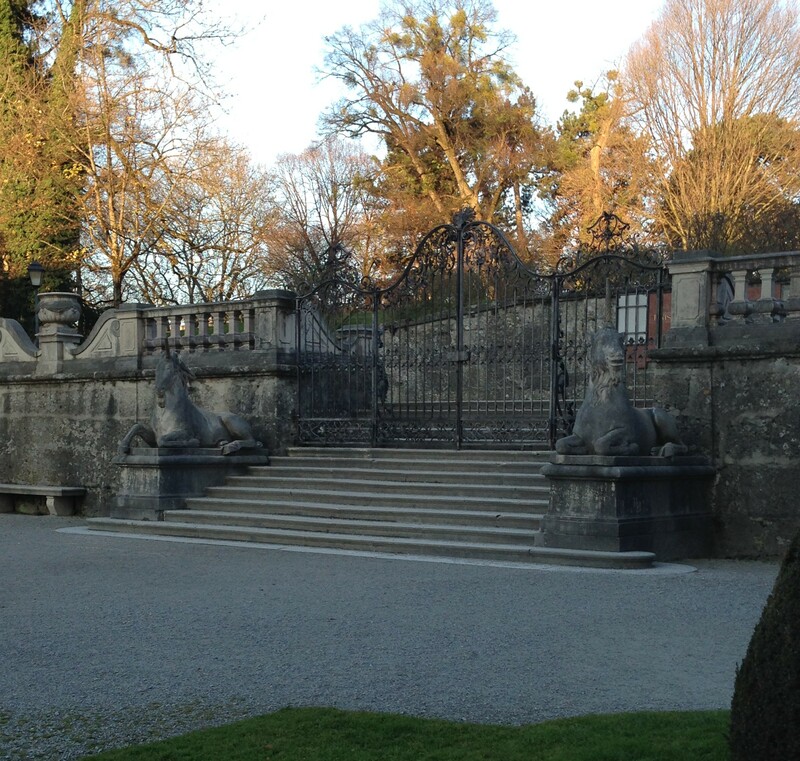 The first stop was to visit one of two houses that was used for the exterior shots of the von Trapp house. Yes two…one house for the front and a second house for the back. They are both privately owned, so you get a view from afar…in this case from across the lake. 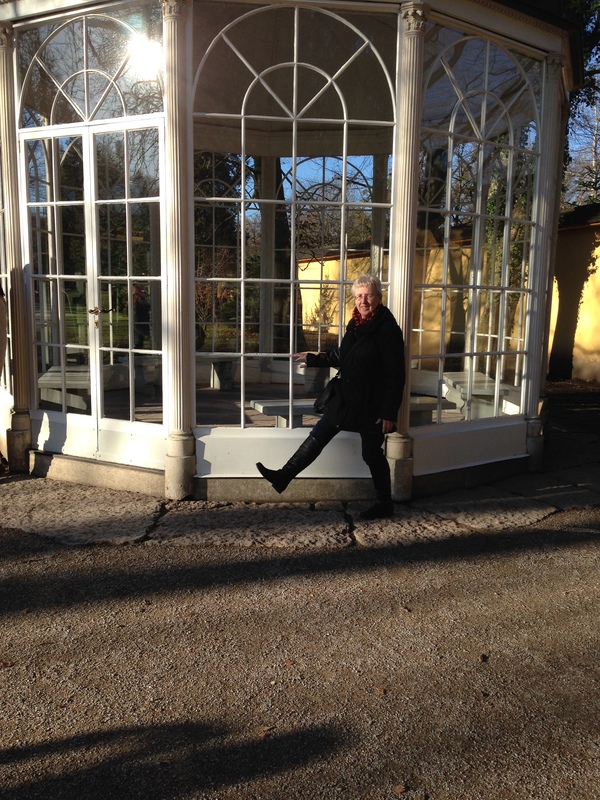 This house behind me is Leopoldskron Castle which was used for the outside scenes for the back of the house. It is now owned by Salzburg Seminar, an organization founded by Harvard Graduates. Its hard to see, but you might recognize the gate where Maria and the children were in a boat and then capsized into the water and got out dripping wet to meet their father. This water is actually a small lake….I’m not sure why, but I always thought it was a river that ran behind the house. Another interesting fact: The scene when Maria and the Captain are talking about the children, did you notice that they are never shown talking together? The Captain’s back is to the water…that was shot at this house. 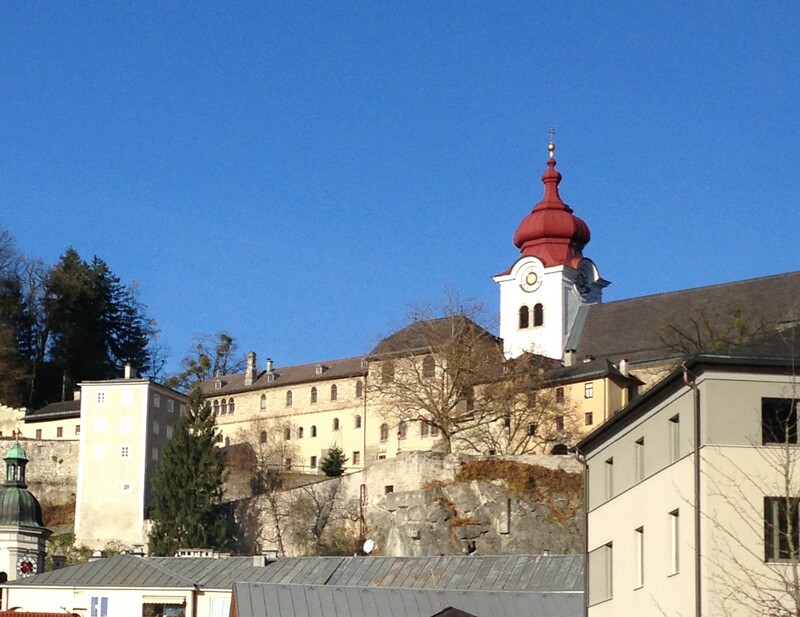 Maria replying to him is shot with her back to the house….but not here…those scenes were shot at this house, Frohnburg Castle, that is several miles away. The same house that is shown when Maria makes her first journey to the house to become the “governess”. See those trees? That’s where the children were hanging in the trees wearing play clothes made out of curtains. It is also not open to public, which is why you might see reflections in the pictures. They were taken while we were on the bus. Let’s go back to the first house. Did you notice anything missing from the backyard? Where is the gazebo? after the movie filming was over, the gazebo was given as a gift to the city and later moved to a the park at Hellbrunn Castle. Several in our tour group pretended to leap for the cameras, that wasn’t happening with me, so I just pretended. Did you know there were two gazebos used in the movie? The real one…this one…is all glass. 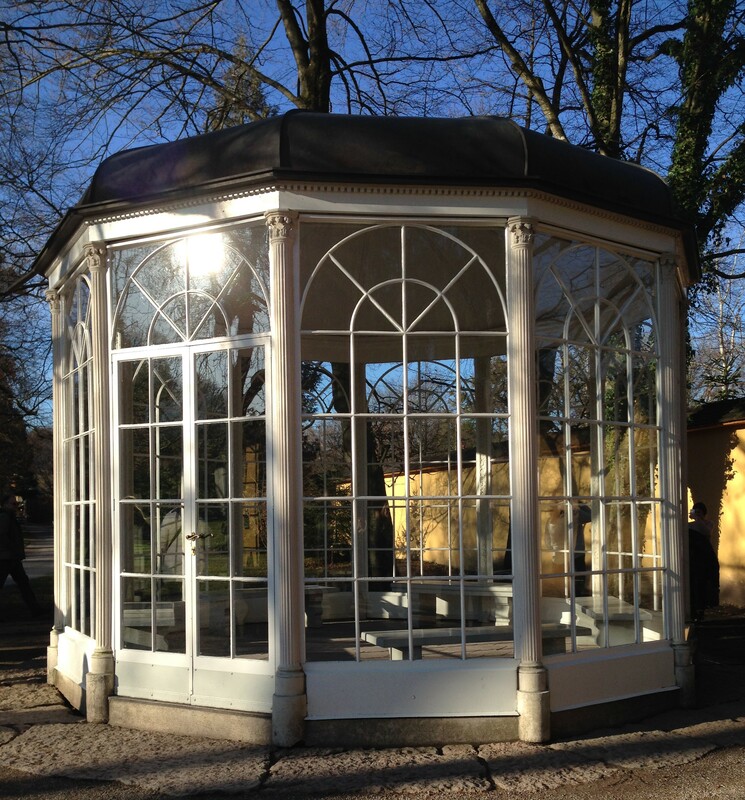 Another gazebo was built in a Hollywood studio with open “doorways”. Seemed “Liesl” sprained her ankle jumping around the benches and they had to reshoot the scene, so they made it a bit bigger. Our Tour included a “drive by” of the abbey. It’s still an active abbey, so no visiting there, but it doesn’t matter because although the courtyard of the abbey was used in the filmng of “how do you solve a problem like Maria”‘most of the other scenes were shot in a Hollywood studio. 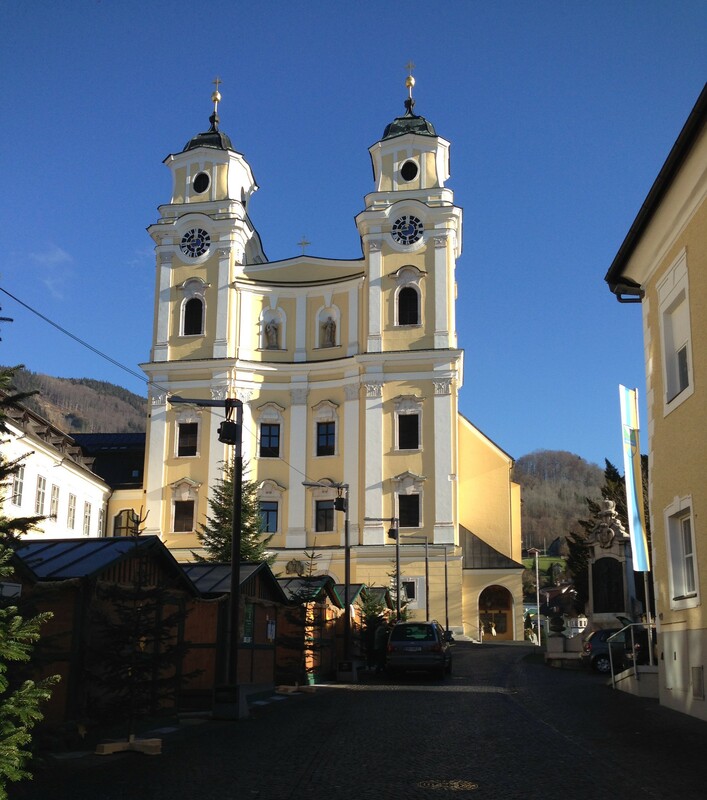 And this is also not where the wedding scene was filmed at the end of the movie….that church is in the “lake and mountain region”, on the outskirts of Salzburg. So into the bus for a little trip to visit “the hills”. The mountain in the background is where the opening scenes of the movie were shot using a helicopter flying over the singing Maria. These same mountains were used when filming the ending where the family is shown hiking out of Austria to escape the Nazi’s. But that is a Hollywood moment – in reality, the family escaped by train, first to Italy, then to London and finally to the U.S.. 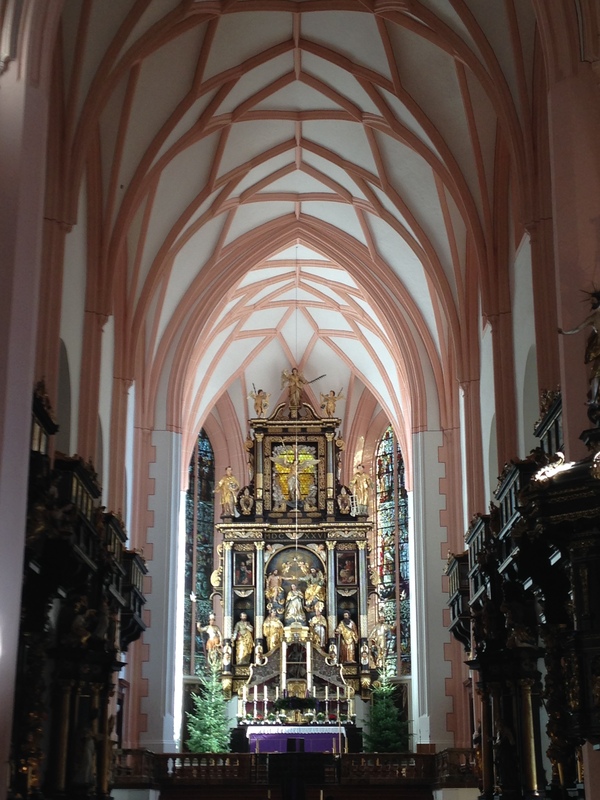 The church where the wedding took place is in the very small town of Mondsee. And it looks much smaller from the outside than what I expected. Movie cameras and filming angles can make small places look big. Even the inside, although beautiful, looks much smaller in person than in the movie. The picture below is the altar area, the following picture is looking towards the back of the church. 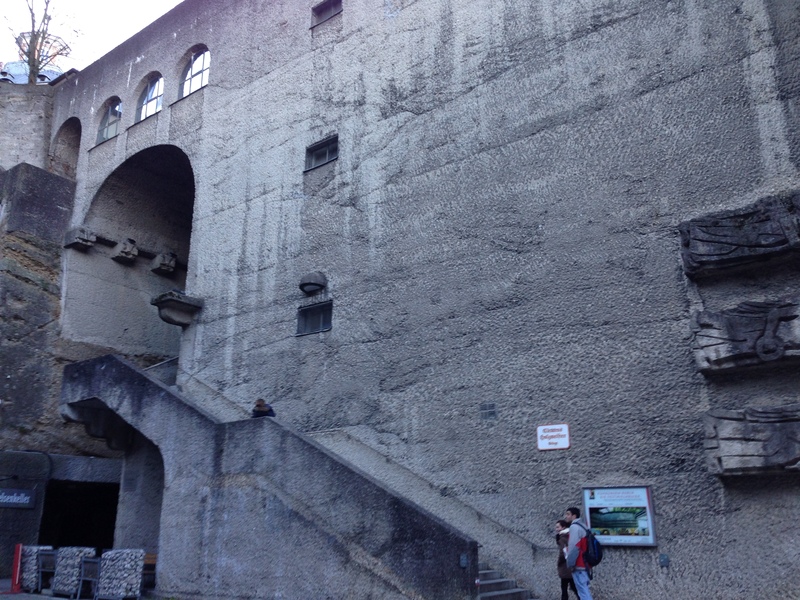 And just like when shooting a movie and scenes are filmed out of order…so it our tour. 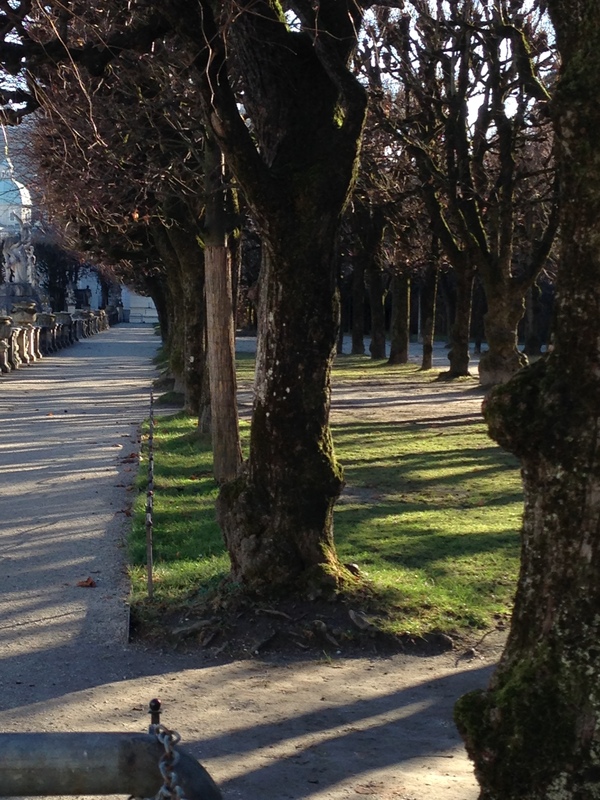 After touring the church and eating lunch at the Christmas market in front (those small wooden buildings are the back of the market stalls), we headed back to the bus and back to Salzburg to tour the Mirabell Gardens, where the song “Do Re Mi” is filmed. And to get us back there, we had to sing for the driver. We were in a round-about and unless we sang good enough, he was going to keep going around….we went around 3 times! I knew all the words…it’s always the people in the back! 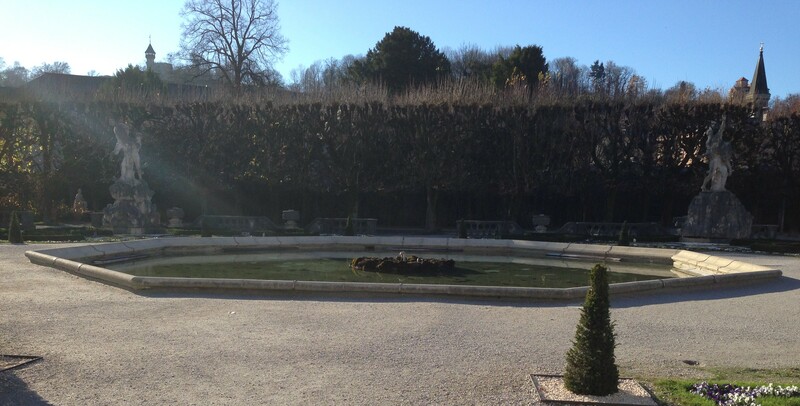 Mirabell Gardens is part of Mirabell Palace. At one end of the garden are these steps where the children hopped up and down while singing Do, Re Mi. 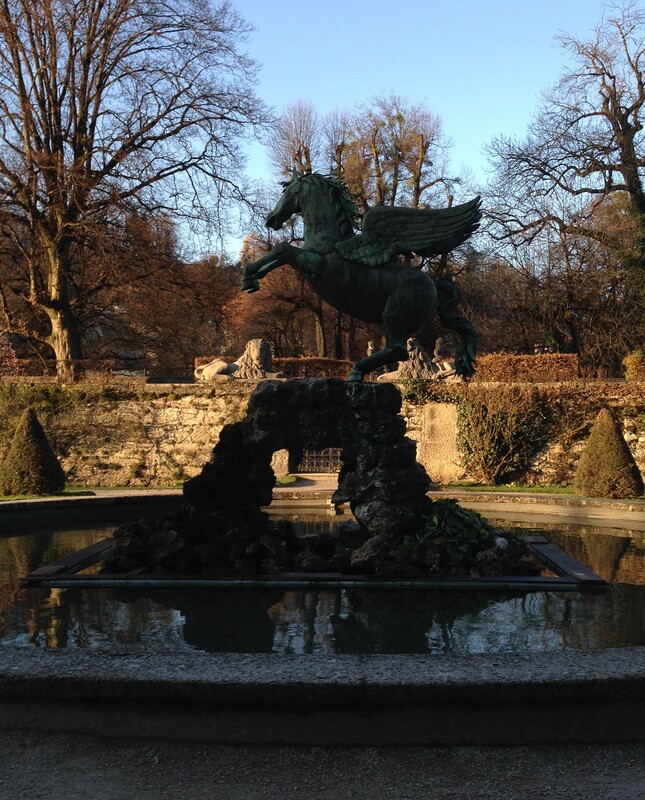 And then they danced around this fountain with the Pegasus statue, and this fountain, which is not operating now in the winter and then they ran down this tree lined path …and out into the town. 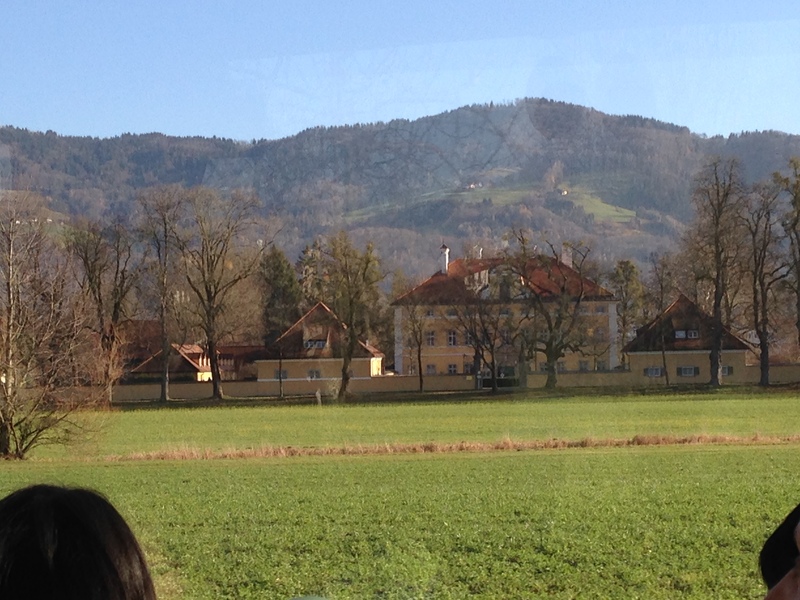 One place the tour did not take us was to the Festival House where the von Trapp family singers sang on stage. But we found it while walking around town after the tour. They’ve made a lot of changes over the years (it has a retractable roof now), but the outside still looks old like it did in the movie. And now it’s time to bid you farewell. “The sun has gone to bed and so must I…..goodbye…..goodbye….goodbye….. I enjoy reading all your posts, but this one especially because it brought back many memories. 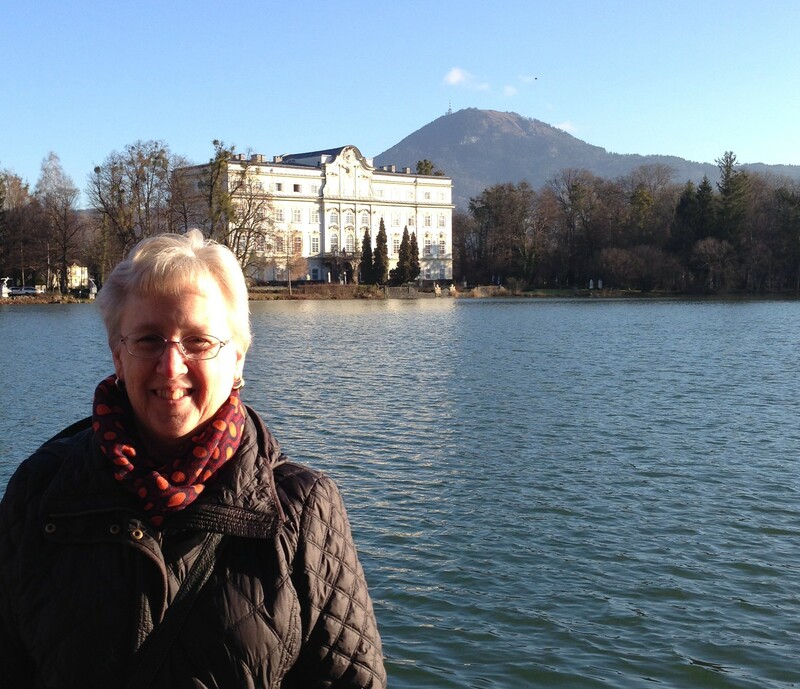 We were in Europe in 2011 for 6 weeks (11 countries) and this Sound of Music Tour was one of my very favorite tours !! 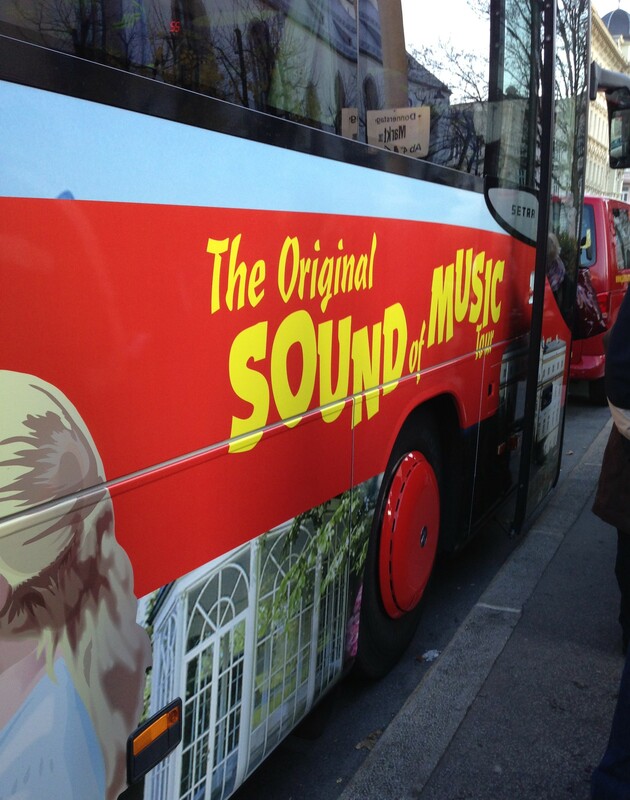 The Sound of Music tour was definitely one of my favorite things….I feel like I should be bursting into song right now. It’s been an experience of a lifetime. I’m sure you think the same about your trip…11 countries, wow! That must have been amazing. I did a nice photo book of our trip, but you should do a book with all of your blog entries and pictures. Now that would be amazing!! Thank you for sharing your Sound of Music tour! Beautiful pictures, and I was singing along with you. I think i know every song by heart! You are having such an amazing experience over there – I’m so happy for you and David. (and truth be told, a little envious!) I know you are making the most of your time in Europe! Happy New Year my friend! You need to plan a trip to Europe….you would love it! Happy New Year to you too!